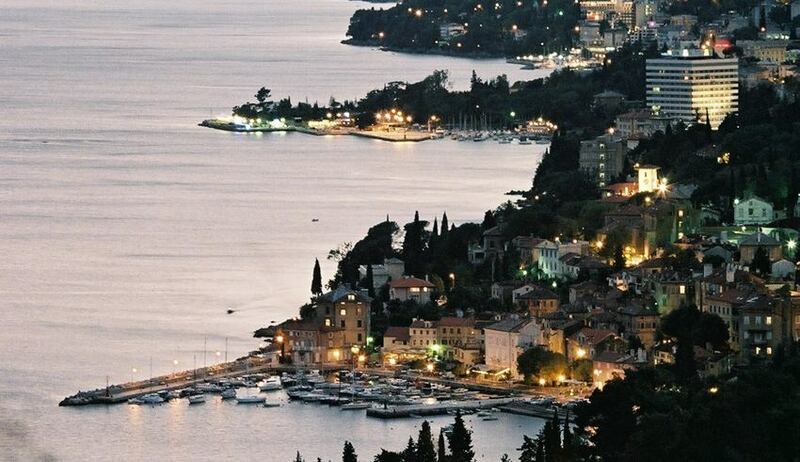 Opatija is located in the Bay of Kvarner (45o 20') beneath Mount Učka (1.401 m high) at the point where the Mediterranean reaches most deeply into the European continent. Mount Učka and the nearby islands provide good shelter from strong winds for this tourist resort that can easily be reached at any time throughout the year. Roads: about 480 km distance from Munich, Vienna or Milan. Airports: Rijeka (37 km), Pula (75 km), Zagreb (168 km), Ljubljana (100 km), Venice (197 km).